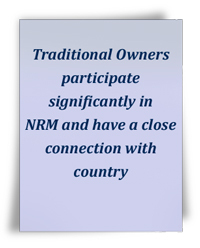 share experiences and research findings, and identify knowledge gaps for further research. 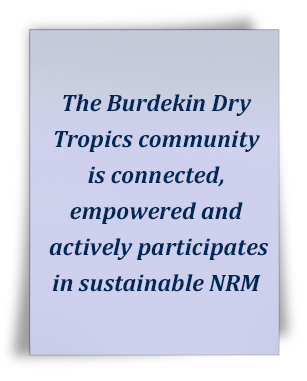 Sustainable NRM depends on an informed, skilled and connected community. 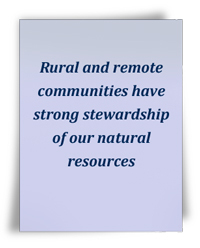 In the region, a large proportion of our community are involved in protecting, researching and managing our natural resources, including rural land managers, Traditional Owners, NRM community groups, industry, researchers and all levels of government. 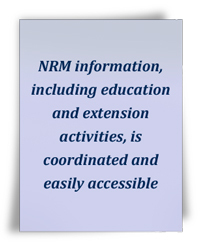 So many people are working hard in the NRM environment, and strategic coordination is critical to boost the efficiency and effectiveness of their efforts.